Grandparents are kids’ best friends. They will save you from the furious claws of your mom and that dreadful look of father. Their love is pure and unconditional. They will keep your pockets warm and stomach always full. One can always turn to grandparents for advice and sharing thoughts or problems. They are always patient and love spending time with their Grand-kids. If you look at it from their perspective; it’s like watching their kids grow up again without the worries and tiresome parenting to do. Steve and Jeri Wakefield are two such Grandparents who love their grand-kids and would do anything for them. They just wanted to be amazing Grandparents. The sort who would do anything to impress and keep their grand-kids happy. 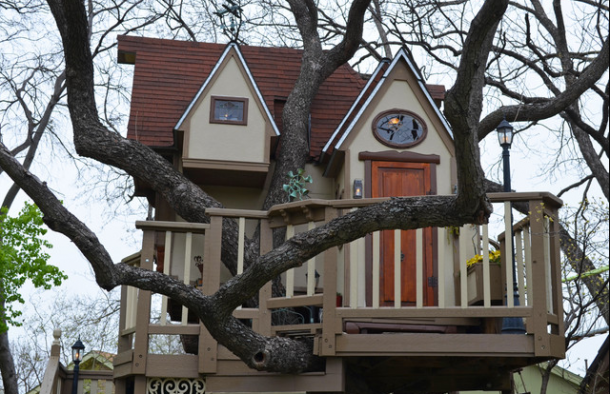 This includes hiring an architect to build their grand-kids a wonderful tree house! Tree houses are common, no discussion there, but are they all this amazing? This particular tree house ‘mansion’ is a rare one. Why? Let’s see why. The architect, James Curvan, was hired by grandparents to design this mansion. The idea was the comfort of their grand-kids and an amazing tree house. It is a sight to see and quite peculiar. The mansion has different stories- yes, that’s right, it has more than one story- along with a staircase, a climbing wall, rope ladder, zip line and a suspension bridge. Talk about means of transport, they sure covered it all! The mansion is air conditioned and has electricity available in it. 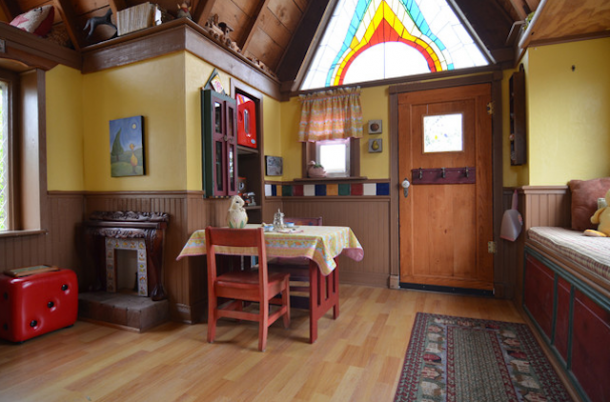 The whole project took a total of three months to build and has an area of 1oo sq.ft. The mansion has two decks and two lofts for sleeping. The Wakefields sure know how to keep their grand-kids occupied and entertained. The tree house must have been the perfect spot for their grand-kids who have grown up now with wonderful memories to look back to and feel happier. For all you Grandparents, this is the perfect example of how you can contribute to the lives of your grand-kids and make them happier. 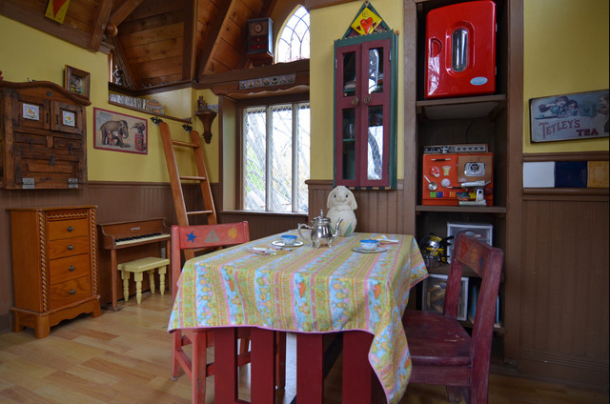 The tree house is open for neighborhood kids to play in and their happiness is the result of Wakefield family. While one may question that this is not possible for every grandparent to do. It requires money and not everyone has such resources at their disposal or that this is just a show of rich grandparents and there is nothing special about it. Well, sure it did require money and the grandparents didn’t do it all by themselves, but they did come up with the idea and let’s not forget that you don’t always need money to bring smile on other person’s face. It’s the thought that counts when it comes down to such stuff. Even if grandparents can’t afford such tree houses mansions, they can always come up with such ideas that may not require this much investment. Do it yourself ideas are the best when it comes down to such things. For now, lets praise this awesome tree house!